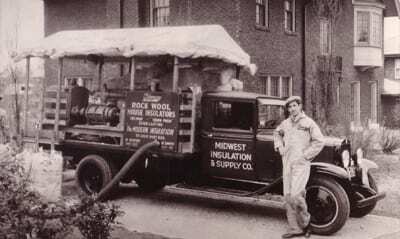 Henges Insulation is a division of Jay Henges Enterprises. Sister companies include Henges Interiors, Henges Insulation (based in Kansas City) and Porta-King. Henges Inc. employs over 100 certified and trained union installers. We are ROSSI certified in Illinois and Missouri; we pride ourselves in professionalism, job-site safety, and our ability to not only troubleshoot problems but also in solving issues in the most cost-effective manner. We have 70+ years of experience in commercial, residential, and retail interior finishes and installation projects. Jobsite safety is a #1 priority at Henges. Because of this, we have routine safety meetings to discuss issues in the field. We run diagnostics on our equipment and machinery regularly and we take great care in the maintenance of all tools. We have a MOD Rating of .77, which meets and exceeds regulatory standards. All of our installers are trained on proper safety procedures and are equipped with company purchased safety bags to assist in proper installation practices. Henges Interiors is a division of Jay Henges Enterprises. Our parent company also owns Porta-King, which offers a wide range of prefabricated building systems, providing shelter and storage solutions for virtually any working environment. Porta-King’s corporate offices are in Earth City along with Henges Interiors corporate offices. Additionally, we have a manufacturing plant in Montgomery City, Missouri, an Illinois branch, and a Kansas City branch.